I have started to open my mail from JVzoo. Affiliate Victory is the last new shot of the tribe. I have looked a little closer to it and hope you will spend some time reading my review before you think about a purchase. Affiliate Victory, What does it contain? It would not be nice to be able to invest ten dollars and then make them grow up to ten doubles. Yes, of course, you just have to learn how. Do not worry The three gentlemen have knit a little course together. You should neither think of the search engines nor create context. You do not have to fight to get on the front. Nor do you pay for traffic. When no, the search engines will not have an affiliate link directly. So, unfortunately, it can not be done here. So forget google and youtube. No, in general, we are going to start with facebook marketing. Yes, paid ads on Facebook. On the first course, you learn to find products and set up a test campaign, so you only invest ten dollars. In the primary training, you learn how to convert it to a mailing list. As you later can promote affiliate products. Affiliate products are a vast spectrum. You will learn to sharpen. You do not learn to create your copies yourself. It is some that the provider has created. But basically, it’s about buying ads that you can then convert to sales and a mailing list. Here are both paid and some free for you to use. I only use a single free service. I have not yet dared to create one for this blog. Although that is something, I consider very strongly. It will not be a sales list but a course or just a reminder that there will be a new article. But the way you have to use this system is to create a series that is more based on sales. The reason is that it facebook traffic that it is. Yes, you have money at the top, so you have to have a returnable campaign. The email list can then convert more sales. Now that I’ve talked a bit about the basic course, it’s also important that I describe what you can buy. Yes, it does not stop at the $ 17 that the course costs. First, there is a case study. You can see how it work in practice. Yes, they have made some champagnes ready to set up. Then there are the two times sales rights. That part I have never understood. Why buy full rights over a course that you have not created yourself. Especially not when you can also get a partner link at JV zoo. The four additional items are some that the providers want you to buy. Since it’s their entire form of sales is. The online world is many things but when you go into it without owning a website. So, it requires you to use some gaming rules that are intended for social media. ==>If you read on, you might want to understand why this has too many shortcomings. If you do not own a website, you will not build on the most critical traffic. Yes, I’m talking about the organic traffic. But we can make an appointment. 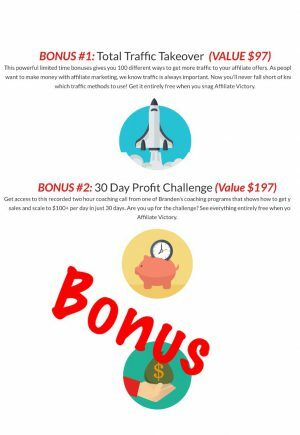 What do you say to learn about affiliate marketing? If I say, you get a website and much more education than you get here. If I say that it is completely free and free? Do not waste your credit card information? You can access one of the most vibrant online communities that exist. You are allowed to keep your website. I’ll help you set it up. You do not have to pay for traffic. you can evaluate how much you mean it. What I show you here has nothing to do with fast money. On the other hand, it has something to do with how to build you up online really. So in time, you can create a sale. ==>I will say that you will not make a deal the first time. Will only happen when your followers genuinely believe in you. As we said, we are not talking about a shortcut. But what you need to learn is to build it yourself. Then you also create trust with your target audience. It’s always hard for me to find something good to say about a course that promises you can make a lot of money, with a small investment. But for me, Facebook ads are quite hard to convert. You learn to build list, which has a series that you can put together. You can not just spend seventy dollars on a formula and think it’s changing something. I’m a little tired of all the money they claim here you can earn. A real business can take a long time to build. Here are not the tools needed to build a real fire. 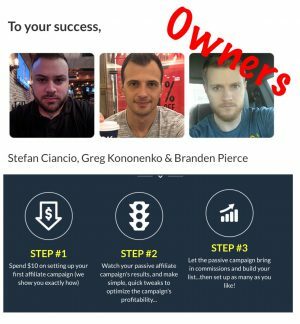 Who can benefit from Affiliate Victory? Ok, we are talking about a course in Facebook advertisements. 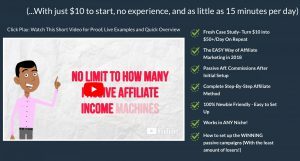 A course where you learn to set up some ads based on an affiliate product chosen by the providers. Yes, because they are your sales copies that you should use. It sounds smooth and easy to read. It may also be a number too easy. But that’s what’s the concept here. You use some advertisements that tested by the three gentlemen who have created this information product. That’s why you have to buy their look over the shoulders product. Now it’s just in the air, and we can pick up our partner link on JVzoo. I do not feel I’ll be familiar with you if I direct you to the sales page here from this article. Although, as a rule, the blog published first has the clear advantage of being those who sell these products. Yes, it’s about getting out of here. Here I am a bit more critical of what I will offer and with what I recommend to you. You know I think that many of the products I describe are not the time you spend on it. In many cases, neither is the money worth. Now it is a course we are talking about here. Even said, there is training in the technicians. But when we talk about what some tools you need, it’s limited to some sales copies that you learn to put up on a social media. A real tool should somewhere else. Here I speak both of the tools for building a list. But you’re also missing the essential thing you need to build a real online business. First of all, you only have fourteen days to change your mind. Also applies to marrow sales. Then after the date, you purchased the training. Do you only have the fortnight to contact JVzoo to get your deposit again? It is an information product without a larger membership area. Yes, you can write to the provider once you have purchased the first course. $ 17 is not the absolute value of an info product. But now where you are here, the provider will retain a significant amount of information. The idea here is to make you buy more so you get more out of it. But it will happen at a completely different price. Facebook commercials can be a very expensive pleasure. I’ve tested it in connection with some of the fan sites I’ve created. Yes, I’m testing with a budget for Facebook, deciding where and how much it can reach. Good enough, targeting your campaigns is quite easy to target a particular audience. You’ve found that audience does not mean that your exposure rings become clickable. My facebook stream of advertisements. Mainly targeted for the topics, I’m looking. I feel like Facebook is a few years afterward compared to, for example, Google. 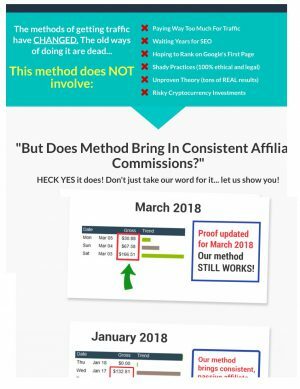 Keep in mind that there is a reason why Google does not like affiliate link directly. We users only need to see a page when we click the paid ads. In many cases, in ancient times, it seemed to be very greedy of Google as they allowed people to buy traffic for some more or less questionable links. There is also a reason why the latest one needs to in my mail instead of finding myself in the search. Yes, you’ve heard right. What I’m talking about here is quality. If I buy a product, and it is an info product or a physical product. Yes, I use the web to find out what others think of it. I’m also trying to find technical data. But, honestly, what are you doing? Do you buy directly from an advertisement on facebook? Beyond that, you will only be a sad copy if you use some sales copies that others have written. When I encounter immediate, inadequate information that all of this site is embedded in, I’m off. Yes, I’m losing confidence already before I’m so much thinking about investigating what it’s really. You can earn money online. But do not just create some tests and then pay more to build on it. If you do not build it yourself, you do not get many conversions to a sale. All I ask you here is to look at your behavior. Do you just want to buy it even if it sounds natural? Yes maybe if you fool as I did a few years ago. But my experience is that you do not get any of it at all. In addition to allowing you to dream a little. But dreams do not build a business. It does not make cheap courses either. I’m not saying you should invent the latest one. But very important you need to find someone you can help. You do not know just being a copy. Affiliate Victory How Highly Rank It? As you can understand, this product is not very high in my opinion. I do not like websites that, on the one hand, promise a stable income without wondering how to take place. I also do not like to teach people to be a copy. Facebook ads are expensive to use if you want results. But I can not see how you will get the results without first having a target audience who trust you. No, that’s not the case. Unfortunately, it’s not the first time I meet JVzoo here. A network that I have felt some confidence in before. But must also have some new products daily and I think that’s why they start to act a bit like the warrior forum and Clicksure. Ok, seventy dollars are not the world if you look at the course itself. When they make it so inadequate, you have to buy the additional products. Then I start to go a little in the back lock over it. I’ve seen this many times before with other similar products. At best, there is some valuable information in between. But I’m afraid you’ll see it as a shortcut. It contains some incorrect information. That can put you back in your online work. I’ve been on a massive detour before I found out what needed to create an online identity. It may be that I am entirely wrong here. Then you may want to give me the right version. You may want to know a little more about what and how I work. In both cases. Let me know it below in the comments box. While you’re here, just remember to press one of the social buttons below. I have personally tried the Facebook ad’s system, and like you said it’s not going to make you rich overnight. You have to do a reasonable amount of testing and trials before you can truly find what it is, that works for you. As for the expense part, that can get out of hand, if you do not know what it is that you are doing. Facebook advertisements can very easily be a pleasure without getting the conversion you want. I have as you have read also split tested them. But has had far different results. I could never try to test with direct affiliate link. I’m pretty sure that you will quickly exceed your budget without getting any out of it. This teaching also does not promise you results. But you get an insight into how facebook ads work and can be used. Keep in mind that none of the search engines allow this kind of marketing. So it’s only a matter of time before facebook also closes for this option.